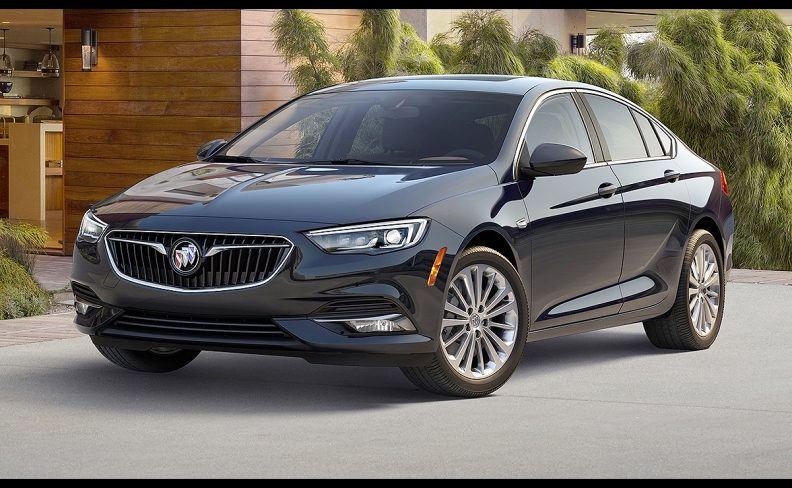 DETROIT -- With sedan sales in a tailspin, General Motors is taking the Buick Regal in a slightly different direction with its latest redesign, but only one of the new models is destined for Canada. The sixth-generation Regal will be available as a four-door hatchback and a wagon, with no traditional sedan, GM said Tuesday. Only the hatchback will be sold in Canada. The Regal Sportback and TourX, both scheduled to go on sale in in the United States in the fourth quarter, will be assembled by Opel in Ruesselsheim, Germany, despite GM’s recent agreement to sell Opel to PSA Group of France. GM’s product development chief, Mark Reuss, said the sale will have “no impact” on Buick in the immediate future. However, only the Sportback, which is expected to account for a majority of Regal volume, will be sold in Canada. It’s about 90 kilograms (200 pounds) lighter than the outgoing Regal. Regal sales in Canada have fluctuated over the past seven years, according to the Automotive News Data Center in Detroit. At its peak during that time frame, the vehicle sold 2,846 units sold in 2011. It sold a low of 740 in 2013. After consecutive years of growth during 2014 and 2015, sales slipped 13.1 per cent in 2016. So it's been an up-and-down ride for the car. During the first three months of 2017, the automaker has sold 190 Regals, down 23.1 per cent over the first quarter in 2016. The Sportback is available either in front-wheel drive, with a nine-speed transmission, or all-wheel drive with an eight-speed. The 2.0-litre turbocharged four-cylinder engine produces a GM-estimated 250 hp and 260 lb-ft of torque. Pricing and other details will be announced closer to the sale date in the fourth quarter of 2017, GM Canada said. Dave Sullivan, a product analyst with AutoPacific, said GM’s decision to more distinctly separate the Regal from Chevrolet and Cadillac sedan offerings should help it fare better than it would as a standard sedan. 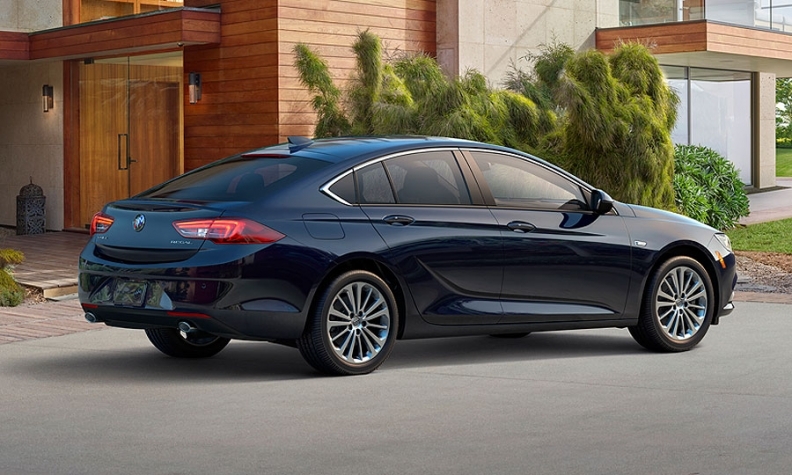 “It won’t look or feel like a Malibu in Buick’s clothes,” Sullivan said. Meanwhile, in the United States, the TourX, which is 86 millimetres (3.4 inches) longer, 27.9 millimetres (1.1 inches) taller and 226 kilograms (500 pounds) heavier than the Sportback. Occupants ride higher in the TourX, giving buyers one of the advantages that has helped draw U.S. consumers to crossovers. The TourX is available only in all-wheel drive and has the same engine as the Sportback. The Regal nameplate dates back to 1973 and the TourX is Buick’s first wagon since the Roadmaster was discontinued in 1996. Sullivan said the incremental cost of bringing the wagon to the United States in addition to the higher-volume hatchback is likely minimal. He noted that the few other wagons sold in the United States, including the Subaru Outback and Mercedes E class, tend to attract very desirable, affluent buyers. In Canada, sales of the Buick brand are off to a strong start in 2017 with 3,815 units sold in the first three months of the year. That’s up 32.7 per cent over the same time last year.